Adding an SSL certificate to your WordPress site is an excellent first step towards securing your data. However, there are a few other steps you must take to fully ensure all links within your site point to the secure version of your domain name (This means the 'HTTPS' version). Make sure your site is properly set up for HTTPS. You need to have an SSL certificate applied to your site and possibly a Unique IP address depending on your requirements for the site. See the Unique IP article for more information. Make sure your SSL certificate is active before continuing. After running the plugin above, log into WordPress using the new secure HTTPS URL. 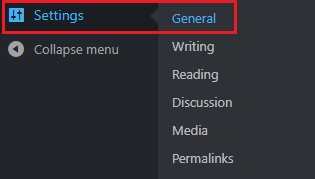 Navigate to Settings -> General page. On the General page you should see your Home and Site URL now points to 'https'. Log into your webserver via SSH or SFTP. Find the file named 'wp-config.php' in your WordPress site directory, and then open it in a text editor. This section is only necessary if you have also added Cloudflare to your domain. If so, view the following article for information on how to configure it properly. Once you have completed all steps above, any request to your website will redirect to the HTTPS version. Article last updated April 18, 2019 15:43 PST.